Yet here she was just six months later in the bowels of the famous stadium after helping Clonduff claim All-Ireland club glory. 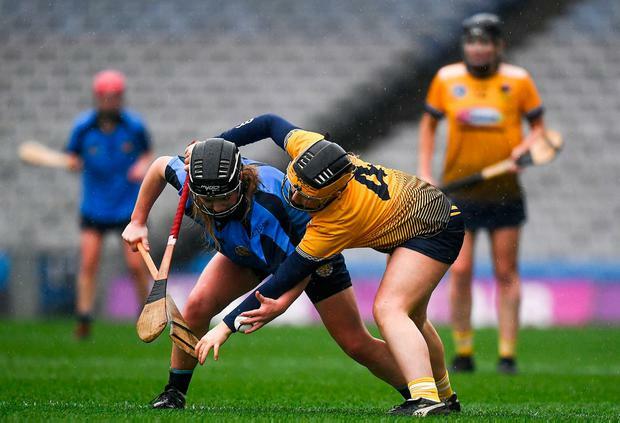 The Hilltown crew had 10 representatives on that Mourne panel, including Carr's sister, Sara-Louise - who weighed in with three points and helped stop a fiercely-struck penalty by Áine Lyng in the last act of the opening half - and victorious skipper and player of the match, Paula Gribben. 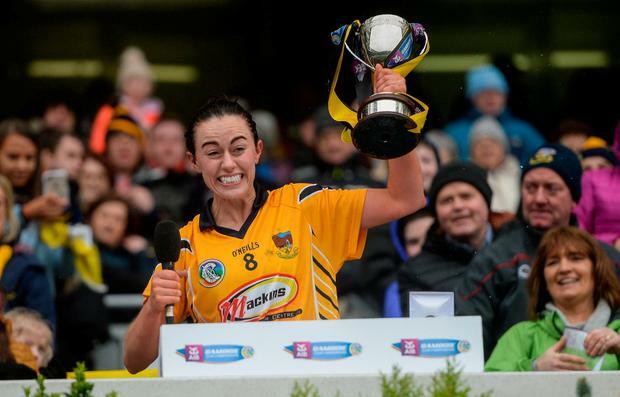 "I was so nervous yesterday," reflected Carr despite 20 years' experience at senior level for her club and the last 17 for her county. "After September, we probably didn't think we'd be back in Croke Park. I've had so many heartbreaks. I think I've played five finals (here) and this is my second win." Clonduff opened well with the first five points, including four from placed balls by Gribben. 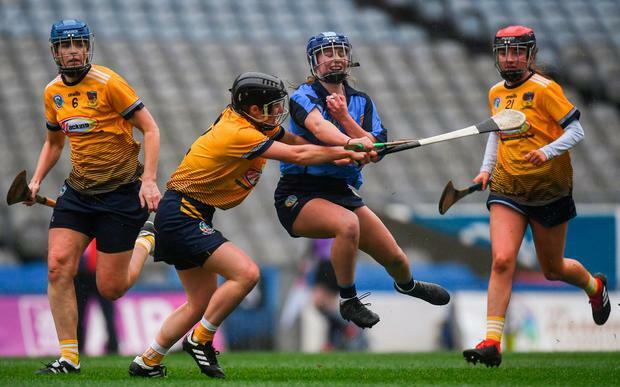 Annie Fitzgerald steadied the ship for Gailltír before the Carrs made it a five-point game once more. However, it was just 0-7 to 0-5 at the interval, with Fitzgerald a constant thorn. The pacy teenager hit two more points and was fouled for the penalty, having initially been brilliantly hooked by Clare Gilligan with the goal at her mercy, but Lyng's shot was stopped by Karen Haughey and Sara-Louise Carr. 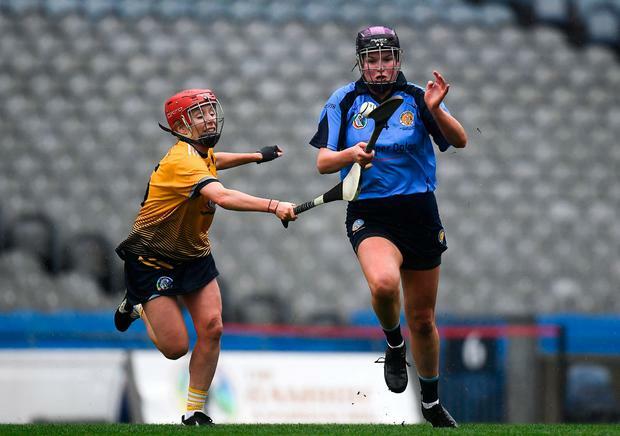 Again Clonduff stretched clear by four in the second-half, but Gailltír powered back to within one and Trish Jackman, Clodagh Carroll and Fitzgerald all were wide with shots for goal as Clonduff defended resolutely in the dying minutes. Scorers - Clonduff: P Gribben 0-6 (5f, 1 '45), SL Carr 0-3, F Carr 0-1. 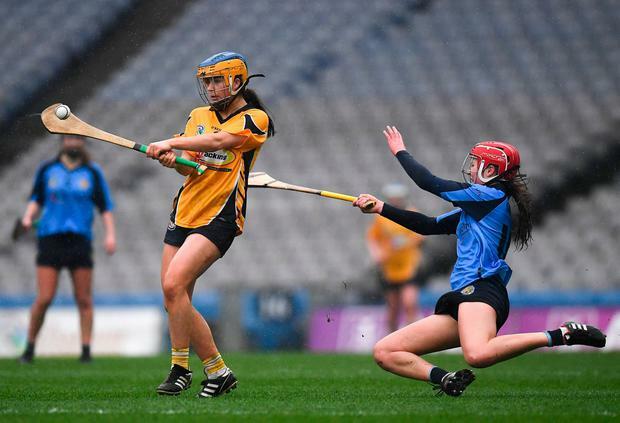 Gailltír: Annie Fitzgerald 0-7 (4f, 2 '45), C Carroll, A Lyng (f) 0-1 each. Clonduff - K Haughey; N O'Hagan, J Boden, S Murphy; C McGilligan, E Rafferty, F Carr; B Fitzpatrick, C Cowan; C Fitzpatrick, SL Carr, P Gribben; O Gribben, K McGilligan I O'Hare. Subs: M O'Reilly for Rafferty (ht), R Mulholland for C Fitzpatrick (57). Ref - J McDonagh (Galway).